In this blog I’m going to propose a design for modelling a Platform Application as a series of generic layers. Industrialise and build a Continuous Delivery pipeline within your platform. As I’ve suggested, if we are treating Business Applications as Products, we should also treat our Platform Application as a Product. With approach in mind, clearly a Product Owner of a Business Application (e.g. a website) is not going be particularly interested in detail about how something like high-availability works. A Platform Application should abstract the applications using it from many concerns which are important but not interesting to them. 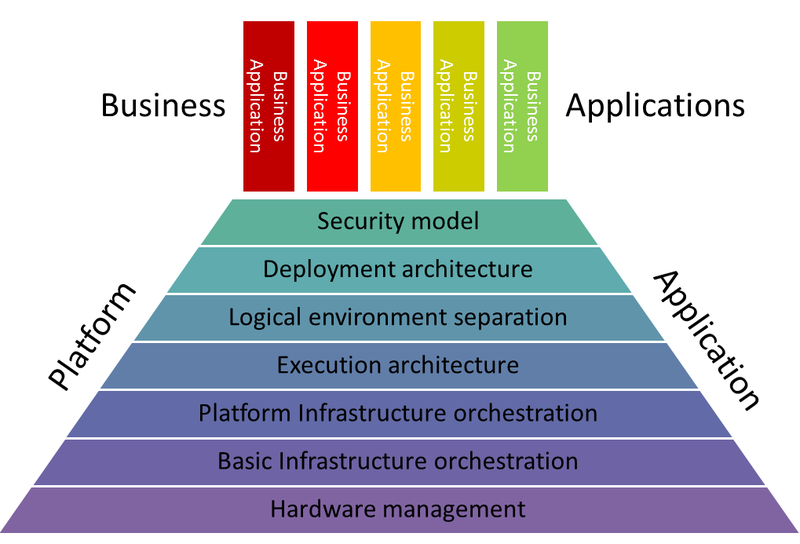 You could have a Product owner for the whole Platform Application, but that’s a lot to think about so I believe this reference architecture is a useful way to divide and conquer. To further simply things, I’ve defined this anatomy in layers each of which abstracts next layer from the underlying implementation. Abstracts you from: having to manually track usage levels of compute and storage. Monitor the hardware. Abstracts you from: having to implement controls over platform use. I’d love to hear some feedback on this. In the meantime, I’m planning to map some of the recent projects I’ve been involved with into this architecture to see how well they fit and what the challenges are.. This entry was posted in agile, cloud, continuousdelivery, continuousintegration, devops, enterpriseit, it, itil, Uncategorized and tagged Agile, agile development, Agile software development, Automation, Configuration management, Continuous delivery, Continuous integration, Information technology operations, PaaS, Phoenix Project, Release management. Bookmark the permalink. ← PaaA is great for DevOps too: treat your Platform as a Product!